Improving Our Awareness by Kyle Reid — Praxis Performance Group Inc.
Around the world, April is known as Autism Awareness Month. Although important issues such as improving our understanding of Autism Spectrum Disorder (ASD) deserve much more time for thought and discussion than one month of the year, it’s a great start towards promoting a greater, shared understanding. By improving our understanding, and promoting further research, we can collectively improve the lives of those affected by autism. Autism Awareness Month isn’t focused on “finding the cure” but rather to shed light on the challenges families face when affected by autism. There is a significant misunderstanding of what autism is, and how someone who falls within the spectrum is affected. There is a large divide in our society’s understanding of what Autism Spectrum Disorder (ASD) is, and what ASD is not. 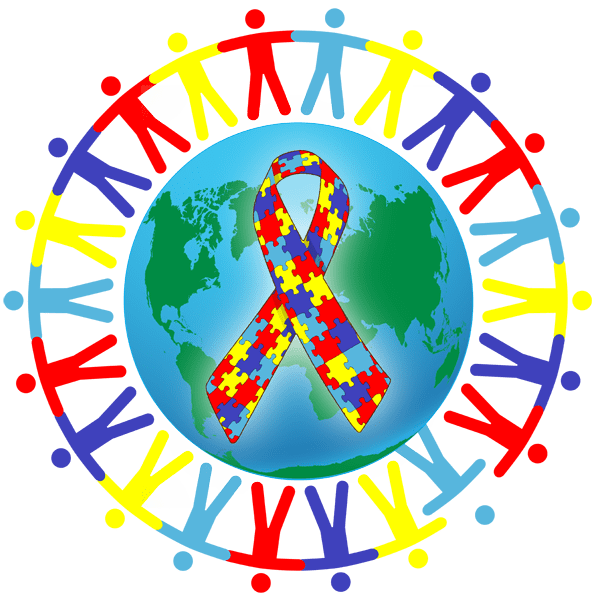 ASD is: a neurodevelopmental condition which falls across a highly varied spectrum, ASD is a lifelong condition that cannot be “treated”, individuals are born with autism, they do not develop it. ASD is not: Restricted to childhood, contagious, a “fad” diagnosis, or caused by vaccines. Much of the misinformation comes from a lack of current research conducted towards adults with ASD and a substantial misrepresentation in the media and entertainment industries. Autism Spectrum Disorder is broken into only three levels, but the range of symptoms someone with ASD may experience is varied. These levels include: Requiring Support, Requiring Substantial Support and Requiring Very Substantial Support. The criteria for determining what level an individual with ASD is placed in is primarily focused on their deficits in social communication & interaction. It is often the social deficits that cause individuals with ASD to struggle with living independently, much less to do with their intelligence or psychological capacity. If our society was better equipped for accommodating those with social deficits, we would see a huge increase in the quality of life for those affected by ASD. Currently Individuals with ASD are one of the most underrepresented groups of people with a disability in the Canadian workforce. Only roughly 35% of working age adults with ASD find employment, as the standard employment practices are not designed in anyway to accommodate those who aren’t neurotypical. But what happens when employers make the effort to accommodate individuals with ASD? Many organizations have made the effort to create accommodating employment opportunities by altering their recruitment processes and employment practices. Accommodations are often seen as challenging and expensive for organizations, but simple changes like how you ask a question in an interview or the communication method used for giving instructions can go a long way. So how do we continue to move forward? Although it appears like more and more individuals are being diagnosed with ASD, this is due to the broadened scope of the autism spectrum. Our ability to more accurately diagnose ASD means we can provide the support to those who may require it. Worldwide there is an estimated 50-60 million undiagnosed working age adults with ASD. Not all individuals with ASD require daily support, but the ones who do experience a much greater quality of life when they receive the support they need. It is now up to employers to provide their own accommodations to ensure these perfectly capable individuals are able to find and hold meaningful employment. We have come a long way in supporting those affected by ASD, but there is still so much we can provide, and it all starts with knowledge. For more information on Autism Spectrum Disorder, take a look at one of the many foundations listed bellow that work towards providing support for those who live with ASD.